← Is my Dog happy? There are many causes of dog diarrhea, one is disease, another is a worm infestation, and yet another is a stomach upset caused by food and or stress. I used to have to deal with diarrhea quite a lot when I was operating my dog boarding facility. Stress was a big factor, and so was changing foods too quickly. That was another reason, that my policy was for all dog and cat owners to bring their pets own supply of food. Many kennels supply the dog food, but I can see so many problems with that! Your dog is used to a certain kind of food, for a long time, maybe even years, now suddenly he or she is given an entirely new food! Boom! If the dog does not develop stomach upset during the visit, he or she might develop problems shortly after arriving home. 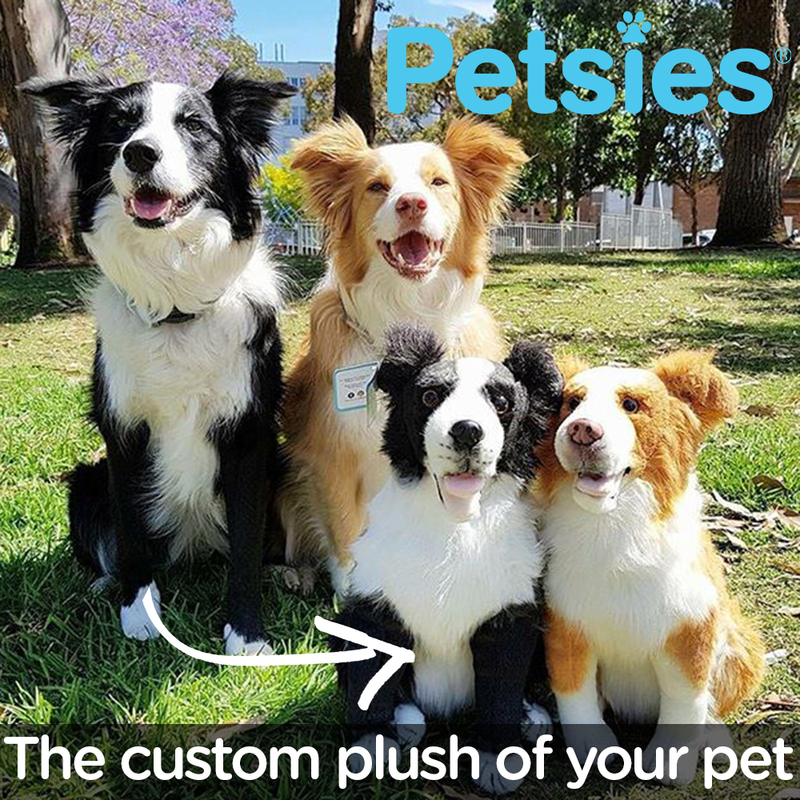 when approaching my Pet Hotel in the morning, was to find that one of the dogs had been having diarrhea during the night or early hours of the morning. As soon as I stepped into the building, my sharp sense of smell would alert me to either urine or the potent smell of dog poop. Diarrhea has it’s own potent smell, like no other, and it’s odors linger in the building for hours and hours even after being cleaned up. I always took cleanliness seriously, and to me the pungent odour of dog poop, needed to be addressed too. I regularily used air fresheners through out the building, both for previous cleanups but also for general doggy body odour. The dogs did not appreciate this very much so I kept it to a minimum, often leaving doors open for awhile (weather permitting) to freshen up the air. Awwww fresh air is so delightful at times like these! of how to block off my nasal sense of smell by pressing my tongue up against my sinuses. This would require me to breathe through my mouth though, but at least I could not smell. I have been able to clean up the most horrendous messes this way. In many times, the dog would not just have made a mess, but would also have run or walked through the mess many times over. The first thing I did was to put the dog outside into one of the fenced dog exercise areas, then pulled out the bedding, putting it into a garbage bag. Next was grabbing a roll of paper towels and a plastic bag to clean up the bulk of the mess. You see, I designed my building with heated concrete floors, but did not have drains or gutters. All messes had to be cleaned up by hand. at times like this, because a lot of the poop had dried hard and had to be scraped up with a knife. Yep, with a table knife kept for this purpose LOL! I would finish the cleanup with a mop and pail of hot soapy water. I would pour a bit of bleach on the floor and then proceed to scrub with the mop and hot soapy water. This was followed with a rinse. The blankets or beds were then taken to the house, to my laundry room, and were washed twice with a hotter setting. If the dog was a mess, then a bath was in order too. Lots of work. Any wonder I dreaded the smell of poop? That was what I had to determine next, if it was diarrhea and not just a poopy accident. If the dog was new or was more nervous/upset, then stress was most likely the cause. Some dogs were fine for a weekend but a week long stay would set them off. Some dogs were upset by the noise of other dogs too, and so I often had to train dogs to keep the barking down to a minimum. Dogs that were 24 hour barkers, were banned from further visits for the well being of other dogs, and for my own sanity. I encouraged lots of exercise and outdoor playtime, to release the energy that often causes excessive barking and stress. If the dog was otherwise acting normal as in eating his or her meals, but had diarrhea, it could be excitement or stress. I always kept veterinarian canned and dry foods on hand designed for gastric upset. The dogs seemed to especially like the canned food. is to determine whether the dog needs to see a Vet ASAP or can be treated at home. If the dog is lethargic, lacking energy, looks generally unwell, won’t eat, and is vomiting a lot, in addition to diarrhea, the dog is sick and needs to be taken to the Vet. Sometimes there is blood in the stool too. If the dog has vomited a bit, has diarrhea, no blood in the stool and acts otherwise energetic, wanting more to eat, more than likely he or she is not sick but does need intervention in terms of diet or deworming. Yes, when a dog has a load of worms, stress or any drastic change in his or her life will often set off a round of diarrhea too. After the clean up, if I had determined that the dog did not immediately need a trip to the vet, I would put the dog on a 24 hour fast first. Lots of fresh water available, but no food or treats for 24 hours. This is important to give the stomach a chance to rest. I had some dogs whose diarrhea did not stop unless I fasted them for 3 days. It worked. The vet food that I used was rice based, with vitamins, minerals, flavouring and even egg in it’s recipe. I would use this canned food until the diarrhea stopped and then gradually start adding some of the dry gastric food to this. Eventually I would add the dogs’ own food to the canned instead but only if the dog’s poops or stool had started firming up. Obviously I could not finish up this treatment if the dog was not in my care that long. If the dog was experiencing diarrhea when his or her owners picked him up, I would often give the owners a small supply of this special food to take home with them, along with instructions. What I do these days when one of my dogs has a loose stool, with some vomiting, (it’s always my dog Ciro), is to cook up a batch of Basmati rice or two and feed meals of the rice and other ingredients. It’s a fragrant rice that my dogs love. My dogs, being part time ranch dogs, get into all kinds of disgusting eating habits outside. From cat poop to rotten carcasses dug up and what ever. Mostly a dogs stomach, that is exposed to this from puppyhood, can tolerate this with no problems. especially when the dog needs to be de wormed. I seldom get a chance to see my dogs poop, as they seem to do so when I am busy with other things outside. I often don’t know there is a problem until I notice that the fur at their back end is stained or one of my dogs has vomited up either his food or a lot of mucous/bile. My dogs, while otherwise not acting sick (still running around), will voluntarily start to refuse their meals, in an effort to cleanse their stomachs. Recently my dog Ciro started bringing up lots of mucous, and did not want to eat his dogfood. Yet, he was still going after cat poop and horse poop! Why do I use these ingredients? Probiotics (beneficial bacteria) from different sources are immensely effective when harmful bacteria from different sources are involved. I do the same for any human in my family (probiotics) that is affected by food poisoning or any stomach illness. None of my children, while in my care, nor my husband and myself, have ever had to make a Dr. appointment for severe stomach upsets. Some of us have clearly had food poisoning from certain food items we were unlucky to have eaten, but a strong series of probiotics took care of it very quickly. Rice is easy to digest, therefore it’s the perfect food for a stomach upset. The sticky starches in Rice, also help to firm up the loose stool again. The Kefir, is better than yogurt, because it has much more healthy bacteria in it spoon for spoon than yogurt has. Yogurt has fillers too to thicken it, and the sweetened yogurts are a big no no. Plain Kefir tastes better than plain yogurt too, in my opinion. Cottage cheese, being cheese, naturally has healthy bacteria in it, as all unprocessed cheeses do. Never use the creamed Cottage cheeses from the stores, it is a product LOADED with preservatives! I only use the dry curd, as it is purely cottage cheese, nothing else added. The probiotic capsules like Natural Factors Ultimate Multi Probiotic is one of many products that contain a effective amount of beneficial healthy bacteria. It happens to be the product that is in my fridge right now. Yes, I keep my probiotics in the fridge, to slow down the breaking down of the bacteria in the capsules. They are a perishable product. Yes, you can buy them off the shelves too, but the best ones in my opinion, are the probiotics that are found in the refrigerators of health stores/super markets. The enzymes, are great for helping human and animal to digest all forms of food in the stomach. A dog that is having trouble with the stomach, will no doubt be having trouble digesting anything, which is why the vomiting is happening too. I always have this particular product, Organika Full Spectrum Plant enzymes on hand and I also keep it in my fridge for the same reason. It is not found in the fridge section of stores, but since I usually buy a large bottle, I want it as fresh and potent as possible. This recipe is per meal, and should be fed twice per day for sure. If the diarrhea is really intense, I would feed three times per day. The dry cottage cheese is a probiotic but dogs like the taste so it also encourages the dog to eat this mix. Rice is fairly bland and some dogs will not eat it unless there is protein added. If I don’t have dry cottage cheese in a pinch, I will put in a dab of bacon fat. Just a small dab as a dog has a keen sense of smell. This is often enough to get the dog interested in the rice. I cook bacon on occasion and save the melted bacon fat in a cup that I keep on my stove. I have learned that it comes in very handy for a finicky dog like Ciro. He often gets tired of his dog food brands too, so a dab of bacon fat makes the food seem more special to him again. After a few days of just this mix, I start adding a bit of his dog food again, starting with 1/2 cup for a couple of days, and then increasing it. I only add the dogs regular food if the diarrhea has stopped. I don’t want to aggravate his digestive system so I add the dog food very slowly. so I think it’s time to deworm. Spring time (which it is here in southern Canada) is a time when any worms that an animal has, become more active. Sometimes parasites become dormant for a while and then when the conditions are right, they become a serious problem for the animal. Tonight he will get his first meal in a week, with no rice, but I will still add the other ingredients. His appetite is good and his back end has been clean lately. However, it’s time to deworm all my animals, cats, dogs and horses. 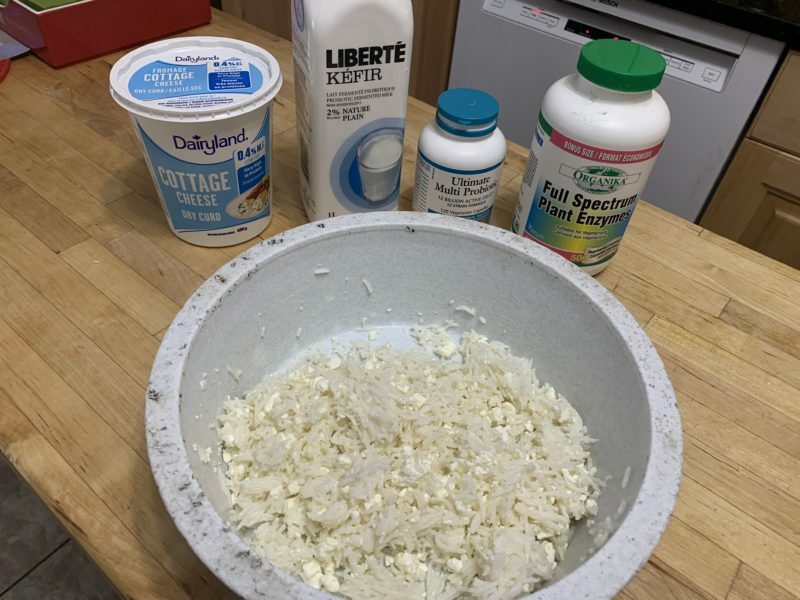 The amounts suggest above are for a large dog, for a smaller dog, just adjust the rice, cottage cheese and kefir to smaller amounts, and for a larger dog, increase. As for the extra probiotics and the enzymes, I would keep the amounts the same for the medium sized dogs, increase for a very large dog (100 lbs and over). For very tiny dogs, one capsule of each would be fine. The advice above is based on my own experience, you may or may not have the same ingredients exactly or your dog may not respond as well as mine. 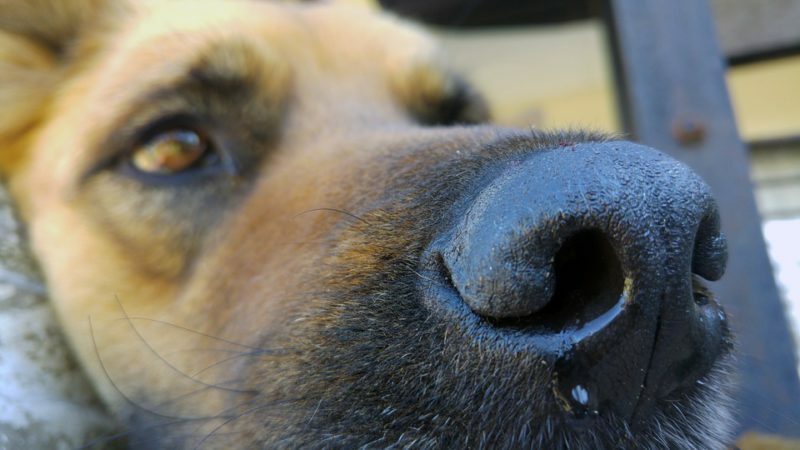 If your dog shows signs of bloody diarrhea, excessive vomiting, fever and lethargy, do not rely on my method or recipe for stopping dog diarrhea, as these are symptoms of serious illness requiring medical treatment.Hopefully your dogs are doing fine right now, but my advice above might be helpful to you someday.